I can’t tell you how long I have worked on this website. I had it nearly finished, then I trashed it because I didn’t like the overall concept and design. I wrote blog posts that were way too long with so many unimportant facts that you can’t even find on Wikipedia. I had images selected but didn’t like the selection after a while, I had stories created where I didn’t have enough images so that this page looks misplaced for a photography blog. I gave up completely a couple of times and didn’t touch the website for months just to get a clear vision – and whenever I started to work on it, I hated it even more and started from scratch. But I remember when I first tried the 12-year-old Highland Park Whisky from the Orkneys. With no doubt, it was a good Single Malt – until the day I tried the 18-year-old Highland Park. What a difference! After that, you will never ever drink the 12-year-old again. It’s unbelievable what additional 6 years in a wooden cask can create. 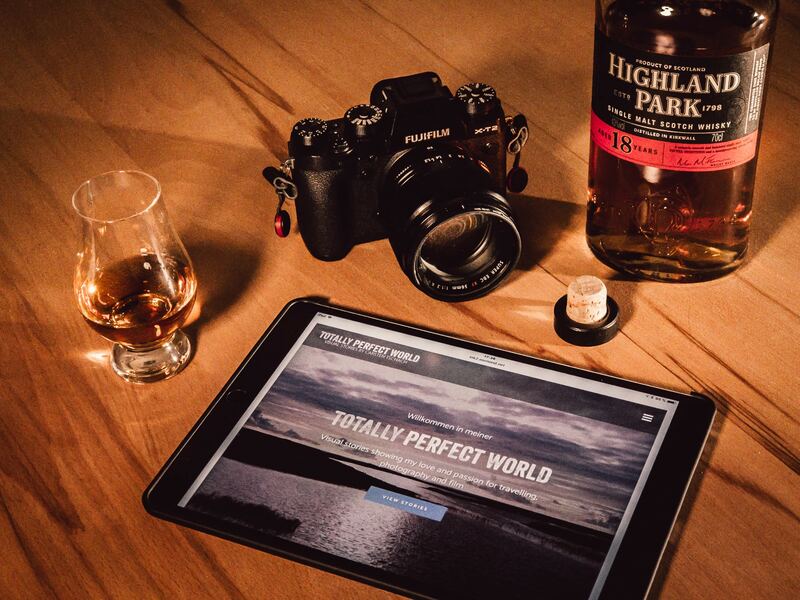 Maybe this website is like a good matured Whisky, the longer it last, the better it gets. But at some point, it’s about the time to open the cask, fill some of it into a glass, add a drop of water and take a deep breath of it before you take the first sip. That’s what I just did, I opened the cask and released this website to the public. Now it’s about the time that you take a deep breath of it, enjoy my photographs and read the short stories and quotes around it. ← Previous Post: "The First Quiet Drink of the Evening…"